Our annual formal event, this is an event not to miss! The dinner will feature a delicious gourmet dinner. We will have special performances. There will be raffles for prizes. One plank of our church's mission is to be a compassionate community. To do that, our Justice and Mission ministry supports various efforts to stand with the weak and vulnerable. 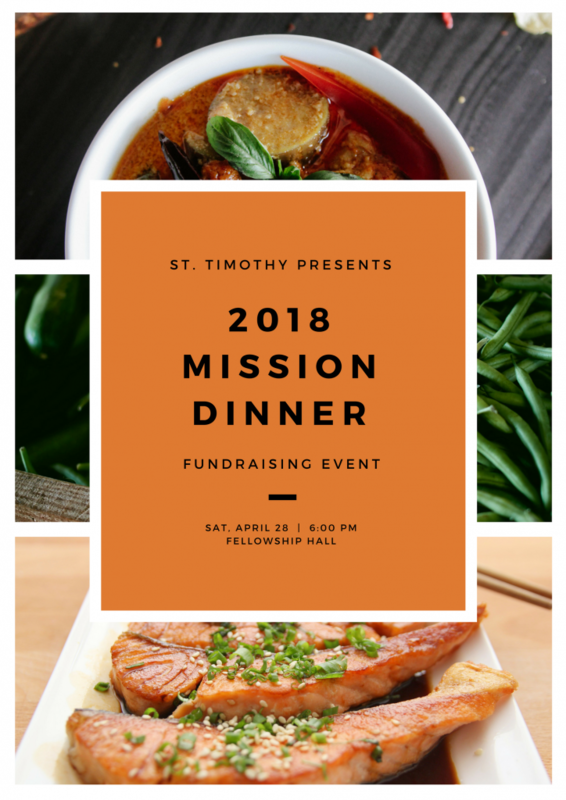 The Mission Dinner supports these initiatives. Your participation goes a long way to helping our church fulfill its mission of standing with the marginalized of our communities and this world. Featuring singers, instruments and more! Premium prizes to be won! One ticket per purchase; you may purchase more than once for multiple tickets. Purchase Now You will be directed to the payment page.